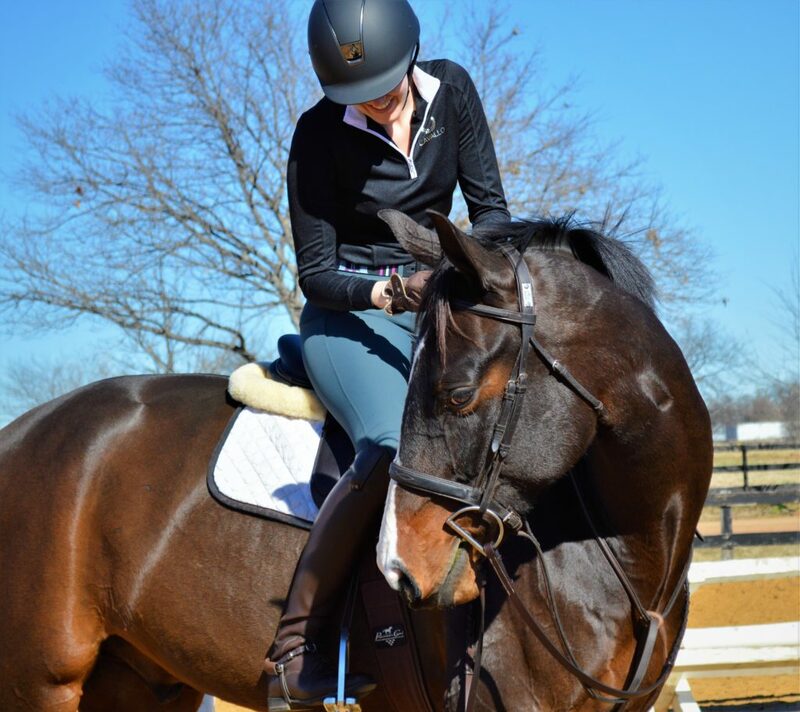 One of the qualities that I look for in tack is longevity. I was reading Emily’s blog a few weeks ago, and she mentioned this as well. I do not mind spending a few extra dollars up front as long as that will translate into more months/years of use. 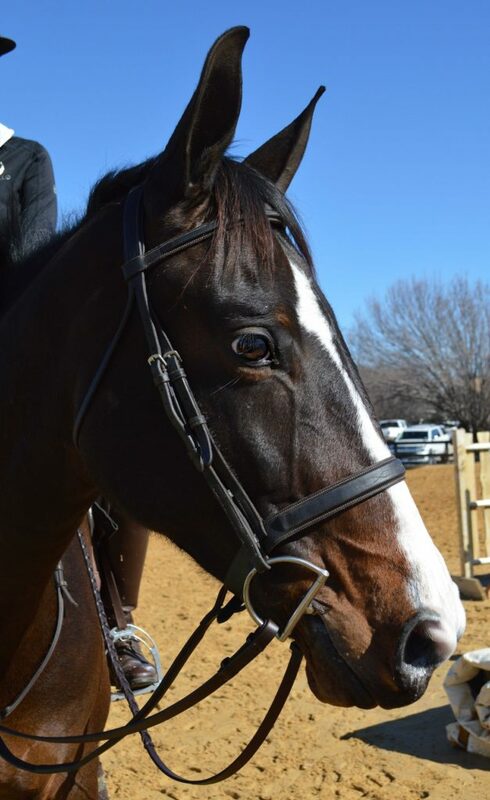 When I initially wrote a product review about my Ovation wide noseband bridle I had owned it only for about 4 months. That is not nearly long enough to comment on how well the bridle would hold up over time. Happily, I still use this bridle and thought an update would be appropriate! Check out my initial review of the bridle first for the primary bridle specs including price. So where are we today? I have now been using this bridle for 2 years. It gets used 5-6 days a week with no special babying. On a day-to-day basis it may get a quick wipe down with a damp rag, and possibly some glycerin soap. I condition it with Voltaire conditioner maybe once every 2 months. After every ride I dismount at one of our large mounting blocks where Rio loves to rub his face on it. Even though I know he is partially rubbing the bridle I let him do it, because it’s a small joy for him and it’s only my schooling bridle (I have an Edgewood I use for shows these days). I am beyond impressed with the longevity and quality of this bridle. The leather has broken in beautifully over time and it looks just as nice as it’s $400+ counterparts. It feels really nice in your hands, while also giving you the sense that it wouldn’t scratch at the slightest rub (you can’t even see any marks on it from being rubbed). It is still in show quality condition after 2 years of consistent use. I cannot recommend this bridle more. It is much better quality then it’s initial price point lead me to believe. I originally purchased this bridle from Dover, and it appears to still be available through them for anyone interested (link here). So what about you guys? 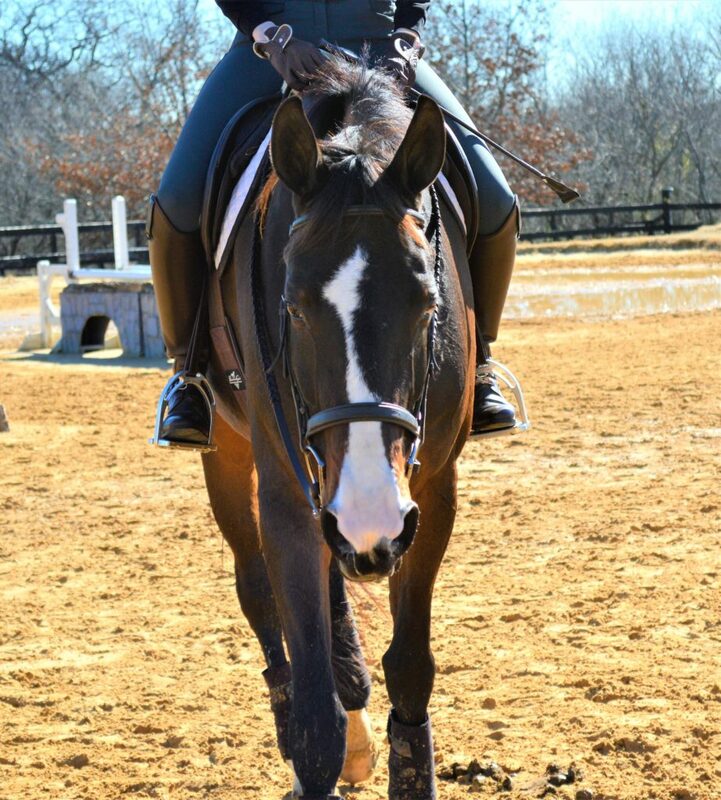 Do you have a mid/low level bridle that has really surprised you over the years? This one looks really nice! I’ve always sort of ignored the Ovation tack thinking it wouldn’t be great quality. Nice to know I was wrong! I LOVE the Joseph Sterling bridles from Schneiders. I recommend them to everyone. They have a similar price point, but are usually on sale for a bit less. They’re Sedgewick leather which is what Edgewood uses. Caveat though, the reins only come in flat leather. No fancy stitching on them unfortunately. I’ve also gotten a few of the Royal brand bridles that I’m happy with. They smell funny at first (vegetable tanned) but once that goes away, they’re pretty sturdy, and I like how soft they are. I never even noticed that you have different schooling and show bridles. Seriously impressed with how it looks after two years(!) of use. I would argue that it looks nicer aged than it does on Dover’s website. 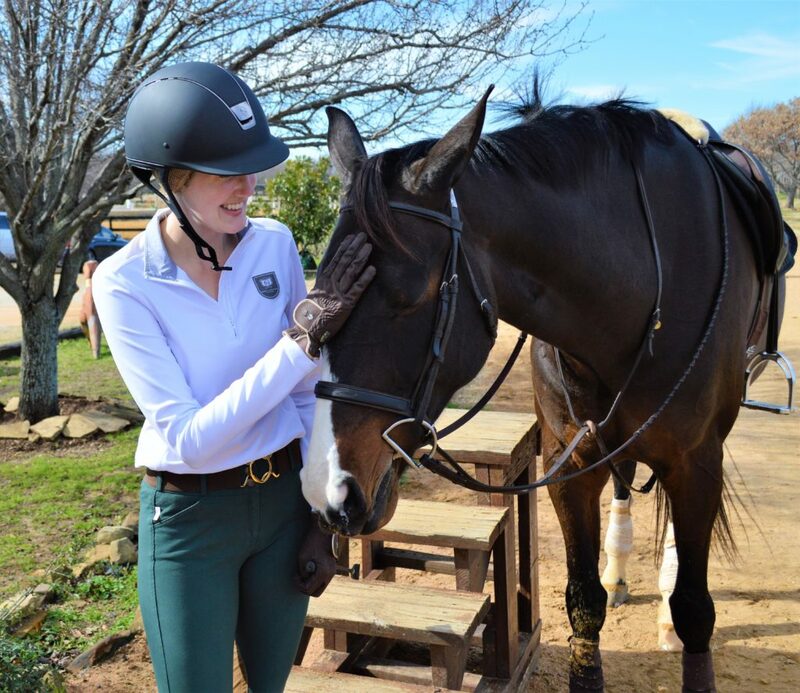 I have one too that has lasted through four lease horses (each of a different size), and it fitted and looked great on everyone. Such a great quality bridle for the price! Girl, I’ve had this bridle since 2012! It’s still my main show bridle on my donkey headed horses that need the thicker noseband. It’s FABULOUS.